For a long time I’ve been scratching my head over how to improve the book cover of this story of mine. The first one, featuring a red-faced sleeper, never quite did it for me. The next cover, with its ash-grey graphic, continued to be unsatisfactory. 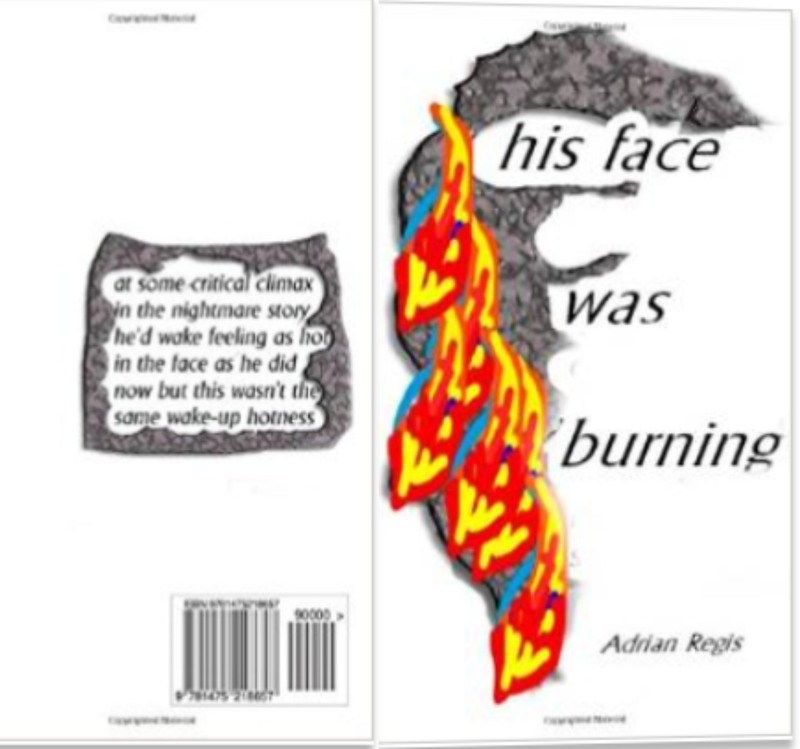 With its picture of a face garnished with flame-like decoration and suggestion of smouldering smoke, this week’s cover release is much closer to what I’ve been intending for the book.